Broadband antennas, compared to half wave dipoles, reduce test time because the technician did not have to stop the test to adjust the dipole antenna for each frequency. Most compliance standards now require the use of such antennas. The new version of Mil-Std 461E states broadband double ridge guide horn antenna as the antenna of choice for frequencies above 200 MHz. A.H. Systems’ Double Ridge Guide Horns are broadband antennas that offer good performance over the frequency range of 170 MHz to 40 GHz. The Double Ridge Guide Horns, from Test & Measurement Australia , are a good choice for both radiated immunity and emissions testing. 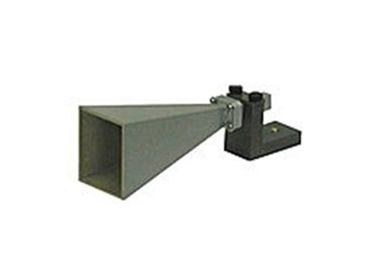 The Double ridge guide horn antennas are ideal for most compliance standards and/or general field measurements.